British poultry producers would be considerably worse off financially under any post-Brexit scenario, a new study has concluded. The Agriculture & Horticulture Development Board has published an impact assessment weighing up how different farms are set to fare depending on what terms the UK is trading with the EU post-Brexit. It analysed two main possible outcomes: a free-trade agreement (FTA) with the EU, and the UK reverting to World Trade Organization (WTO) tariffs. For poultry businesses, the report calculates that under FTA terms farms are set to make a loss of £32.60 per 1,000 birds, while under WTO rules the loss would be smaller, at 1p. That is because an increase in fixed labour and machinery costs of £60 per 1,000 birds and £10-11 for feed, fertiliser and plant protection costs would not be compensated for despite a sales income boost of £8 per 1,000 birds under an FTA and £39 per 1,000 birds under WTO tariffs. 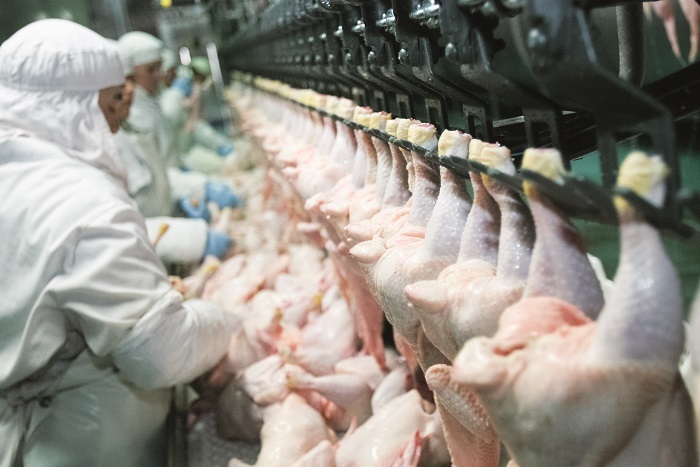 The report added that a constraint was added to the gravity model such that imports of fresh poultry could only come from the EU because the length of the supply chain precludes fresh imports from distant lower-cost producers such as Brazil and Thailand. On the domestic market, the study predicted that poultry prices would rise by 1.5 per cent under the EU FTA model, and by 2.3 per cent under WTO tariffs. Domestic poultry production is expected to remain unchanged under a free-trade agreement, but would increase 11 per cent under the WTO option. Under any scenario, AHDB said the top performers will remain resilient, but said businesses must stay on top of factors inside their own control including knowing their market and keeping a focus on attention to detail.